“The Outsiders,” book and movie, is one of the most remarkable success stories in the history of literature. In 1965 Susan Hinton, a high school student in Tulsa, Oklahoma, wrote a short story that she would publish two years later as “The Outsiders” we know today. It was soon taken up by high school and junior high school English teachers across the country, and young people everywhere began reading it and loving it by the millions. By the spring of 1980 a librarian at Lone Star School in Fresno, California, sent Francis Coppola a petition signed by students and faculty alike urging him to make a movie of this beloved book. Using a cast of largely unknown actors who would soon become megastars, Coppola’s film became almost as well liked as the novel. Since the film’s release in 1983, Coppola tells us that he, Ms. Hinton, and Warner Bros. have been besieged with letters asking them “Where’s the rest of the book?” The novel is short, but Coppola’s movie was even shorter, ninety-one minutes, leaving out several key scenes at the beginning and at the end. Well, Coppola goes on in a written statement to explain that “I have a rule of doing anything kids ask of me,” and so now he has restored about twenty-two minutes of previously deleted footage. For good measure, he also reworked the musical soundtrack (but don’t worry: Stevie Wonder’s “Stay Gold” remains), and WB remastered the video and appended their usual ton of extras to create this new, two-disc Special Edition DVD set, subtitled “The Complete Novel.” Yes, there is still gold in this story after all these years. What exactly did Coppola add to this new version? Well, obviously, he went back and restored some of the bits that he had initially shot and then deleted. He tells us on one of the disc’s audio commentaries that he was persuaded to shorten the theatrical release to help it flow more quickly and smoothly, a decision he says he now regrets. Most of the restored material comes at the beginning and at the end of the film, with a few added sequences in between. The new opening shows Ponyboy coming out of a movie house, just as he does in the book, getting harassed and jumped by the rich-kid socs, and his brothers and friends showing up to save to the day. That new sequence lasts about twelve minutes. Then, there are little snippets here and there put back in, a bit more at the church on the hill and some things in the hospital, for instance. But the next-most important additions come at the end, where Coppola restored scenes of the trial, the school, the brothers bonding, and, finally, the book’s original ending. 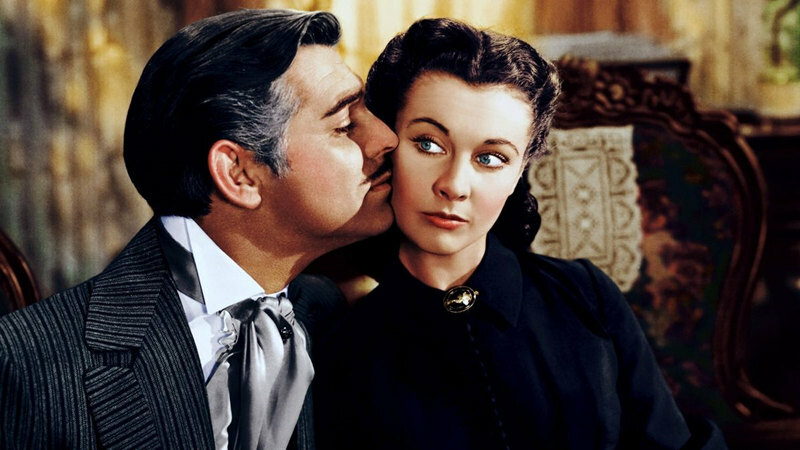 In addition, Coppola tells us he was never entirely satisfied with his father’s epic, Max Steiner-like musical score, which tended to make the movie seem too much like “Gone With the Wind,” an obvious allusion to the place of Margaret Mitchell’s novel in the book that was maybe overdone. So, reluctantly, Coppola subtracted some of Carmine Coppola’s music and substituted period tunes by Elvis Presley, Van Morrison, Jerry Lee Lewis, Carl Perkins, and others. Some of his father’s music remains, naturally, as does Stevie Wonder’s title song. I’m not convinced the additional music and footage make the film all that much better, but there’s no denying the film is now more than ever like Hinton’s book, and that it is an improvement. First, though, let’s take another look at the movie itself, using much of my review of the theatrical release as a starting point. It’s a depressing thought, actually, but it’s no wonder Coppola chose Hinton’s novel as the source for his next directorial effort in 1983 after the monumental failure of “One From the Heart” the year before. “The Outsiders” must have looked like a surefire winner, especially after the encouragement of high school students themselves, and Coppola was in desperate need of money. I suppose he figured that if the book helped thousands of English teachers all over the country get countless reluctant readers interested in something, the book could just as easily attract a few customers to theaters. 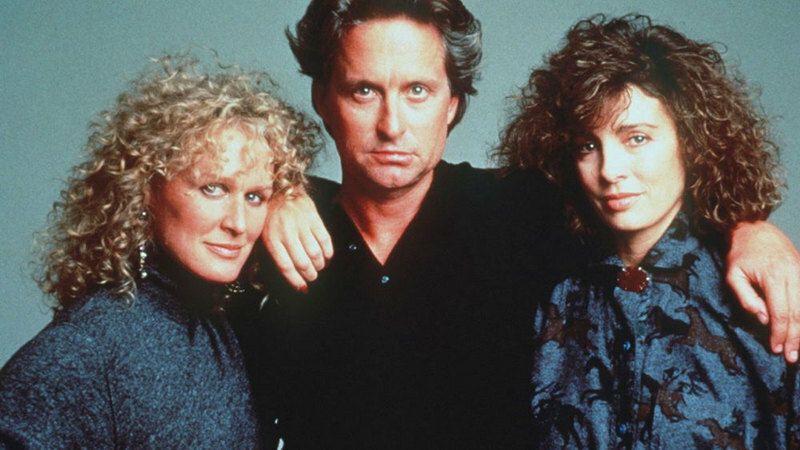 Under Coppola’s very literal yet sometimes extravagant direction, the story is more faithful to the book now than ever, both a blessing and a curse. Those readers looking for visual reinforcement will get it in the film. Those people looking for an interpretation more insightful than the book has to offer will be disappointed. The book rather clunks along, and so does the new, expanded version of the movie. After a melodramatic opening sequence worthy of “Gone With the Wind,” accompanied by Wonder’s overwrought theme song, “Stay Gold,” the story unfolds as a narration by its main character, a high school freshman named Ponyboy Curtis. He tells us of his life as a “greaser,” one of the boys from a poorer section of Tulsa, Oklahoma (where the author grew up) in the 1960s, and his conflicts with the “socs,” the upper-class kids from the wealthier neighborhoods. Ponyboy is an outsider for several reasons. Most obviously, he’s from the “wrong” part of town, a poorer part of town, and the other kids at his high school tend to look down on him for it and be a little afraid of him. More important, however, Pony is an outsider even within his own group. He likes to do really strange things like read books, go to movies, and get good grades in school. He also cries a lot, showing us how sensitive he is, something most high school boys reading the book tend to overlook or ignore. Indeed, most boys reading the book don’t even know that the author, S.E. Hinton, is a woman, Susan Eloise, and that she began writing “The Outsiders” when she was herself in high school. Nor do most students notice that while Ponyboy tells us that he and all of his close friends swear a lot and are exceptionally tough, there is no swearing in the book or the movie at all, and his friends are about the sweetest guys on earth. Students seem to get so caught up in the simplicity of the story and its language that they forget how really old-fashioned the narrative is. It’s one of the book’s greatest charms and possibly its greatest draw. Anyway, today the most notable thing about the movie version of the book is the fact that it stars just about every youthful heartthrob imaginable before he or she became really famous. Matt Dillon plays the hard, big-city kid, Dallas Winston, the kind of role Dillon would repeat many times over. Ralph Macchio, a year away from becoming the “Karate Kid,” plays the young man accused of murder, Johnny Cade. Patrick Swayze, with “Dirty Dancing,” “Road House,” and “Ghost” years ahead of him, flexes his muscles as Ponyboy’s older brother, Darrel. Rob Lowe, in his first big-screen appearance, is Pony’s next-older brother, the one he idolizes, Sodapop. Emilio Estevez is the cutup, Two-Bit Matthews, a role perfectly suited to Estevez’s own free spirit. Tom Cruise has a bit part as a family friend, Steve Randle; and Diane Lane is the romantic interest, Cherry Valance. Ironically, about the only actor in the film who did not go on to mega stardom is the star, C. Thomas Howell, who is nevertheless still doing well in late-night action flicks. In addition, the movie features Tom Waits as the tough-guy Buck Merrill. It is kind of a kick watching all these people together in one film, even if the film itself is somewhat less than riveting. The additions Coppola made in the new “Complete Novel” version of “The Outsiders” should satisfy those viewers and readers who insisted that the movie be more like the book. Now, if only the book had been a great piece of literature, we might have had a great motion picture instead of merely an adequate one. Warner Brothers previously offered both a standard and a widescreen rendering of the film on flip sides of a single DVD. This time out we get only the widescreen, but the studio engineers have remastered it to better effect. The image dimensions again approximate the movie’s 2.35:1 original aspect ratio. However, whereas the picture quality in the first edition was slightly faded, covered over with a dull sheen and some small degree of grain, the new transfer is done at a much higher bit rate, producing deeper colors and sharper definition. The overall picture is perhaps a tad dark, but that is probably how the original print looked. In the former edition, the Dolby Digital stereo soundtrack was as unremarkable as its earlier video reproduction, but that has changed as well in this new version. In Dolby Digital 5.1, the sound is now a touch clearer and cleaner, rear-channel ambiance is enhanced, and the dynamic range appears more open. Voices continue to come through well, which is still the most important matter, and the background is just as free of noise as before. Disc one of this two-disc special edition contains the newly remastered film; the new Dolby Digital 5.1 soundtrack; thirty-two scene selections but no chapter insert; English as the only spoken language; and English, French, and Spanish subtitles. In addition, the disc contains two new introductions and audio commentaries, the first by director Coppola and the second by five greasers and a soc: Matt Dillon, C. Thomas Howell, Rob Lowe, Ralph Macchio, Patrick Swayze, and Diane Lane. Of the two, it was Coppola’s commentary that I found the most revealing, although I rather imagine it will be the stars that many people will want to hear. Coppola seems entirely honest about his remarks, humble and insightful about the film and the filmmaking, and highly informative. The stars seem equally reflective, providing a wealth of personal anecdotes about their experiences. These are both remarkably able commentaries, among the best of their kind, and, frankly, they were more interesting to me than the movie. Disc two contains the usual odds and ends related to the film, much of it featuring the actors themselves. First up is a twenty-six minute documentary, “Staying Gold: A Look Back at The Outsiders,” that features reminiscences by the director and stars about their experiences with the theatrical release, as well as information related to the new, restored version. That is followed by a seven-minute featurette, “S.E. Hinton on Location in Tulsa,” wherein the author takes us on a tour of some of the actual locations for the book and the movie, like the drive-in movie, the school, the Curtis house, etc. It also includes the following statement: “‘The Outsiders’ has sold over ten million copies in North America and it is ranked second only to ‘Charlotte’s Web’ in total sales of books for young people.” Amazing. Next up is a featurette called “The Casting of The Outsiders,” thirteen minutes, that includes screen tests and auditions, with the actors today looking back on their roles and with others that didn’t make the cut. After that, we find about seven minutes’ worth of “Readings,” wherein a number of cast members today read selections from the book describing their characters. Then, the extras conclude with an “NBC News Today” Segment, “The Outsiders Started by Student Petition”; six additional scenes; and an original widescreen theatrical trailer. The two discs are housed in a slim-line keep case, further enclosed in a cardboard slipcover. In Coppola’s second S.E. Hinton project, “Rumble Fish” (also 1983), he took greater artistic license with the subject matter and produced a more ambitious and more successful motion picture, going so far as to photograph most of it in black-and-white. Still, it’s “The Outsiders” that kids will remember most, thanks mainly to its now all-star cast. Although the filmmaking is modest and largely straightforward, it does help readers of the book get a good visual impression of the story’s time, setting, characters, and events, especially now with the added footage. The movie satisfies in minor ways. Moreover, Warner Bros.’ special-edition “Complete Novel” improves upon the first DVD release in every department: The movie is a better, more complete rendering of the book; the disc transfer has better audiovisual qualities and a better soundtrack; and the set includes far more and better extras. I don’t usually approve of double dips, but with this new edition, I’d have to make an exception.